Submitted 5 months 2 days ago by feeds_user. Cabela's Rukus Sack Pack Perfect for quick hunts and day trips Heavy-duty cord straps for backpack carry Folds compact for storage until it's needed Stuff your gear in Cabela's Rukus Sack Pack and go. 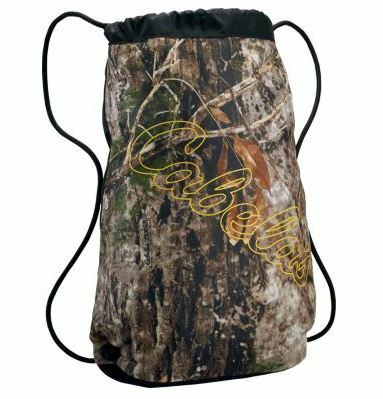 Simple drawstring-close pack is perfect for quick hunts and day trips. Heavy-duty cord straps allow backpack carry. Folds compact for easy storage until it's needed. PVC-coated polyester tricot front and durable 420-denier nylon back. Imported. Capacity: 900 cu. in. Wt: 0.5 lb. Camo pattern/color: Cabela's Zonz™ Woodlands/Black. Cancer and Reproductive Harm- www.P65Warnings.ca.gov.